Your recycling doesn’t have to be sparkling clean. Once a fortnight we diligently wheel our recycling bin to the kerb, and then probably give ourselves a pat on the back while thinking of all the useful products we have helped to create, and the resources and energy we have saved. Yet it pays to think a bit more deeply about what is going into each bin. Audits of kerbside collections have shown that around 10% (by volume) of the material placed in kerbside recycling bins shouldn’t be there. The most common “contamination” items include plastic bags (both full and empty), textiles, green waste, polystyrene (styrofoam) and general rubbish. The problem cuts the other way too. Around a third of landfill waste bins routinely contain recyclables or green waste. How many of us actually know where the contents of our recycling bin go, who manages it, and how the various materials are separated? This knowledge is a crucial element in reducing contamination and improving our recycling industry. A 2005 report found that 48% of Australians are confused about what can and cannot be recycled, not least because the rules and practices differ between local governments and commercial operators, and between households and workplaces. For household recycling, we generally receive an annual flyer from the council telling us what should and shouldn’t go in the recycling bin. But there is typically little or no feedback on whether we’re getting it right. By way of example, ask yourself (and your friends) how much time you spend rinsing out tins, yoghurt pots and other food containers before throwing them in the recycling. The truth is that you don’t have to do this at all, because today’s recycling systems can easily cope with the levels of food often found in or on these containers. Yet many householders still do it, either because they were never told it was unnecessary, or because they were given the information but didn’t read it. Meanwhile, we waste water, energy and time rinsing our recycling. 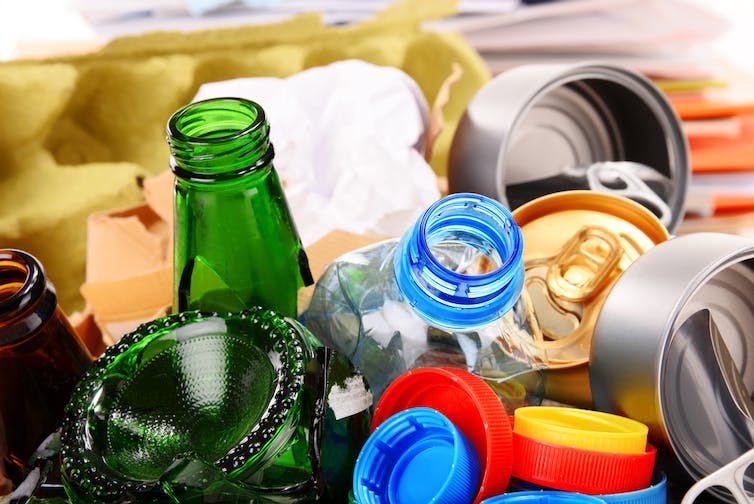 A recent confidential report compiled for four regional councils in Victoria found that only 29% of householders had ever looked at a council website for information about recycling. Most respondents said they got their information from schools, local newspapers and bin stickers. It is important to have clear information from the right source about which items can and can’t be recycled. One example is plastic shopping bags, which many supermarkets urge their customers to recycle by placing them in dedicated bins on the shop premises. But this might prompt shoppers to think that plastic bags can be recycled in their kerbside collection too, which is typically not the case. And, as we saw above, relatively few householders check their local council’s website for the right information. Plastic bags are just one of the common contaminants in the recycling stream that result in large volumes of recyclables being rejected and disposed of in landfill. This comes at a cost to the council, and therefore to us. Plastic shopping bags inevitably accumulate after a trip to the supermarket. Some shopping centres will have bins for recycling plastic bags, but plastic bags typically belong in the rubbish. Many items can be recycled, given the right equipment. To persist with the plastic bag example, these require a machine that can separate them from the rest of the waste stream. But this doesn’t work for full plastic bags, regardless of whether they contain rubbish or other recyclables. Full bags go straight to landfill because it is too laborious to empty them, and in some cases (such as when they contain nappies) doing so poses a health risk for workers at the recycling facility. A little consumer knowledge goes a long way – both in improving the efficiency of our recycling systems and in increasing the motivation of householders who know they’re helping to make life easier for those who process their recycling. We must also have a good think, not just about the items we put in the recycling, but about which products we choose to use in the first place. Although we are bombarded with messages about reducing our use of disposable items, in some cases disposable is actually better. It’s better to rewash and reuse ceramics instead of using polystyrene cups… but only after 1,006 uses. One study found that a ceramic cup would need to be used at least 39 times to be a better option than paper disposable cups, and 1,006 times when compared with a styrofoam one. A plastic reusable cup would need to be washed at least 17 times to be more sustainable than paper disposable ones, and 450 times when compared with styrofoam. So if you’re prone to losing or breaking things (or just collecting too many reusable cups! ), then it might be wise to consider going disposable (or being more careful). Then comes the issue of whether and how these disposable cups can be recycled. Most outlets now use paper rather than styrofoam cups. While the plastic lid can be recycled, in most instances the cup cannot as there is a film of a plastic waterproof material inside it. 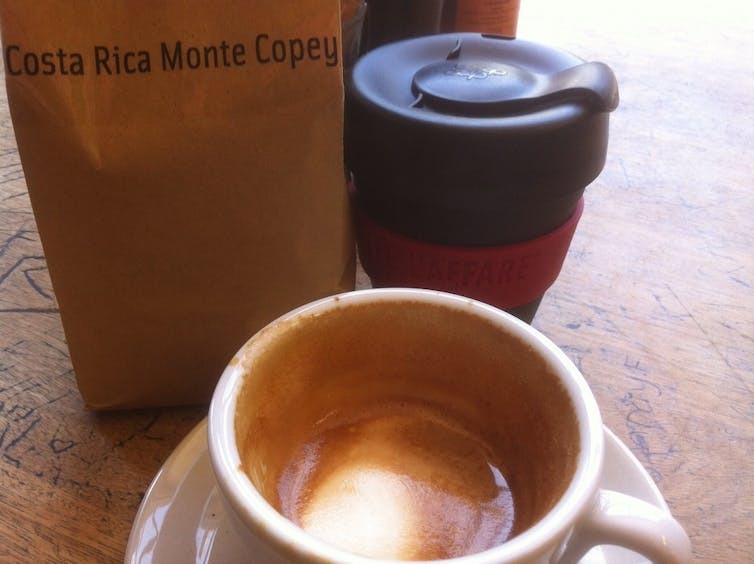 A good plan is to ask whether your favourite café stocks cups that can be recycled. If so, encourage them to put up a sign (if they haven’t already) indicating that they use fully recyclable cups, to avoid confusion. The key to all of this is knowledge and balance – that is, after all, what sustainability is all about. The link below is to a very simple illustration of overfishing over time. The link below is to an article reporting on the first sighting of a Tiger Quoll in the Otway Ranges of Victoria in ten years.